4. Were you recruited by someone, If so, state their username: No, i wasn't recruited by anyone. 5. 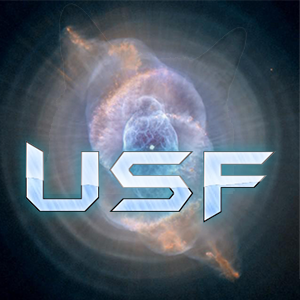 Why do you wish to join [USF]: Back when i was in USF everyone was nice to me and has the same interests as me, i wanna join back and support USF as it is today. I'm not good in words, tho i hope i can be in the same clan with my Friends. And i'm sure while i'm in USF i'll get better. 6. How experienced are you in Plazma Burst 2? Explain why you feel this way or how this can be proved: I'm an Average player of PB2, i'v been playing since 2015, you can already see everything else in my PB2 account. Tho, i hope i can be helpful to the clan. 10. Do you have any Player Points or Predicted Player Points? If so state them: No. I don't have any. 11. Any Level Developer Points? If so state them: No. I don't have any. 13. (This answer should be at least 3 sentences.) Give THREE reasons why we should accept you: I can be in good help, i can find good like minded people to join USF. I'm always active and supportive to everyone in the clan. I'm very obedient to HR. 14. What will you do to benefit the clan: Pure Activity, i'm always active, everytime someone needs help from me, i'm always there. 15. What are your Skills/Playing Styles: Camping, and SWORDS! amen to that, ya yeet. 17. Explain why you had left these clans if you were in any: It's because some of these Clans are dead. In RAT i got kicked for being toxic. RAT has many autistic members, ya'll feel me? Alright I’m gonna be straight forward with this: what’s one reason we should trust you whatsoever? I'm pretty sure right now you don't trust me. And you really shouldn't. Not because i'm not trustworthy. Trust takes years to build up. Trust means you believe that they won’t do it even tho they could get a benefit from doing it. I have no answer to your question. Tho, i was in USF. So uh, i do hope that is a one way for you to allow me to gain your ''trust'' If ya have some time, tell me, why would someone like to join USF just to spy or cause destruction? Cause that's just plain retarded. You'd be surprised. A lot of people get way too into this game and chose to spy and eventually nuke the server because it's just way easier than convincing against your enemy and eventually change his mind. And if you want trust, I'd trust you a bit more if you could remake your application and answer these following questions, because it's pretty hard for an application to be accepted when all the questions weren't even answered. I really don't see u guys touching PB2 tbh, but alright, i'll remake the application.